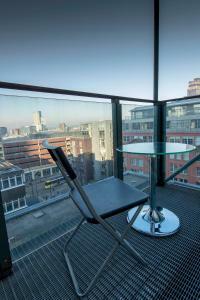 Skyline View 1 BD Apt offers accommodation in Manchester, 450 yards from Greater Manchester Police Museum. The Canal Street is within 1 miles of the apartment. The apartment comes with a TV. The accommodation is fitted with a kitchen with an oven and a toaster. Manchester Arena is 1.1 miles from the apartment, while Chetam's Library is 1.2 miles from the property. Manchester Airport is 9.9 miles away. Skyline View 1 BD Apt has been welcoming Booking.com guests since 21 Dec 2018. When would you like to stay at Skyline View 1 BD Apt? 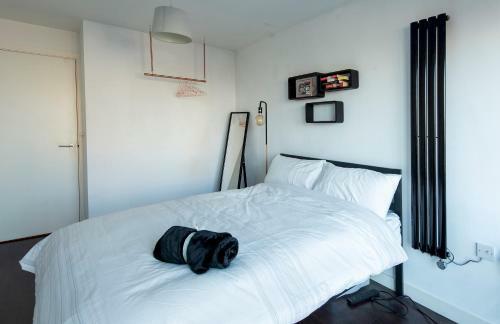 This apartment features a toaster, oven and washing machine. A Beautiful 1 bedroom flat in a prime location of central Manchester, surrounded by hip & trendy bars, beautiful restaurants and coffee shops, and only a 4 min walk to the closest bus station. Featuring a bright spacious bedroom, dining and kitchen area, the space can accommodate 2 guests. 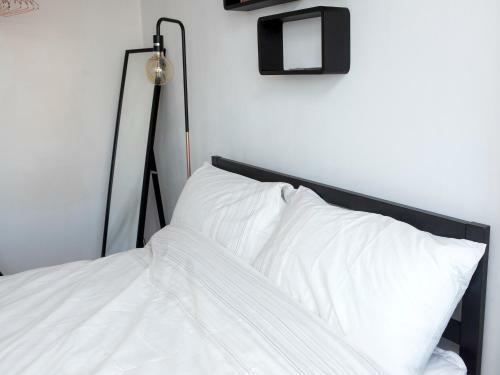 This home is complete with hotel quality linen, fresh towels and complimentary toiletries to make your stay all the more comfortable and enjoyable! 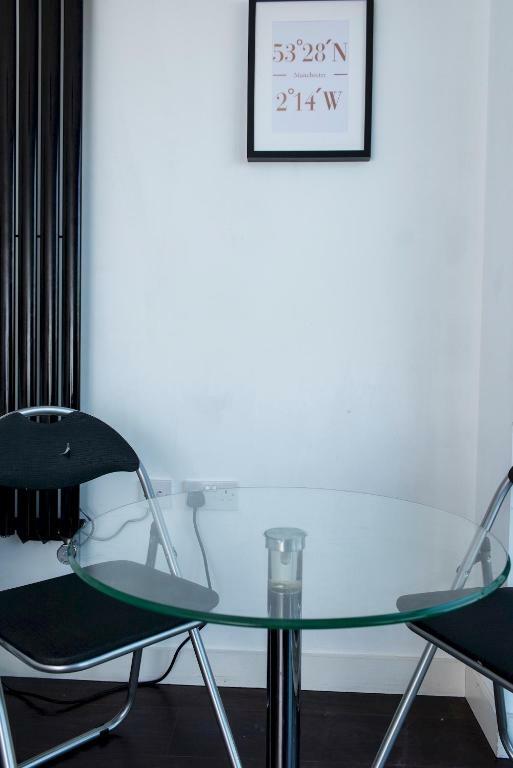 This apartment is in one of the coolest areas in the vibrant and exciting community of the Northern Quarter. Famed for its independent shops and boutiques, where you can pick up designer or retro clothes, rare vinyl’s, collectable comics, unusual furniture and superb art and crafts. It has a lively social scene with beautiful restaurants, cool bars, quirky coffee shops, and music venues… there is also a local pub where you can have a good karaoke singalong with the locals. More information There is a Tesco express and a Co-op a 2 minute walk away on Church Street as well as few small corner shops closer. The Arndale shopping centre has a food market as well with several fish / meat / veg / deli stalls. House rules Skyline View 1 BD Apt takes special requests - add in the next step! A damage deposit of GBP500 is required 7 days before arrival. This deposit is fully refundable during check-out as long as there has been no damage to the property. Skyline View 1 BD Apt accepts these cards and reserves the right to temporarily hold an amount prior to arrival. Please inform Skyline View 1 BD Apt in advance of your expected arrival time. You can use the Special Requests box when booking, or contact the property directly with the contact details provided in your confirmation. A damage deposit of GBP 500 is required. The host charges this 7 days before arrival. This will be collected by credit card. You should be reimbursed on check-out. Your deposit will be refunded in full via credit card, subject to an inspection of the property. We need at least 5 reviews before we can calculate a review score. If you book and review your stay, you can help Skyline View 1 BD Apt meet this goal. 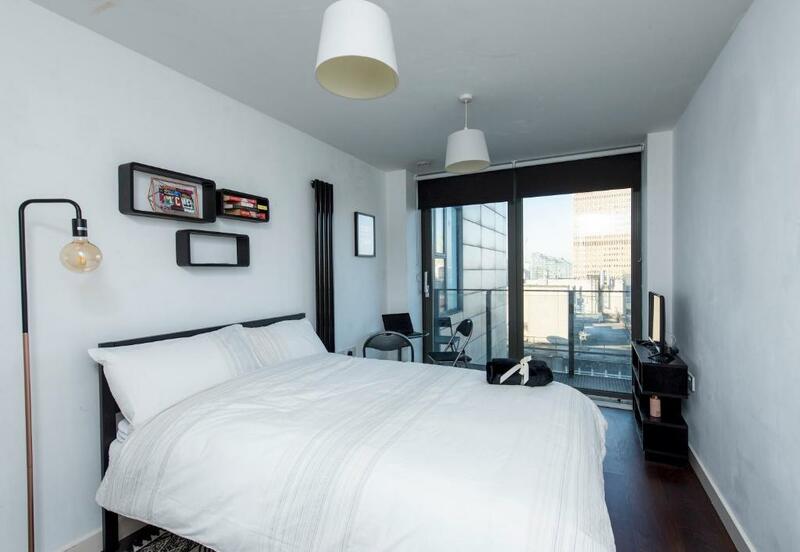 This is NOT a one bedroom apartment, despite what the listing claims. It's a STUDIO: that is, a single room, with separate kitchen and shower room. So I felt mis-sold... 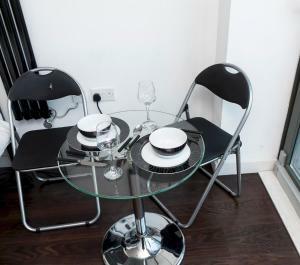 There main room has a bed, two slightly uncomfortable chairs, and a small dining table which you see in the photos. It's smaller than your average Premier Inn hotel room and, as there's no sofa, it feels a bit like a hotel room too. 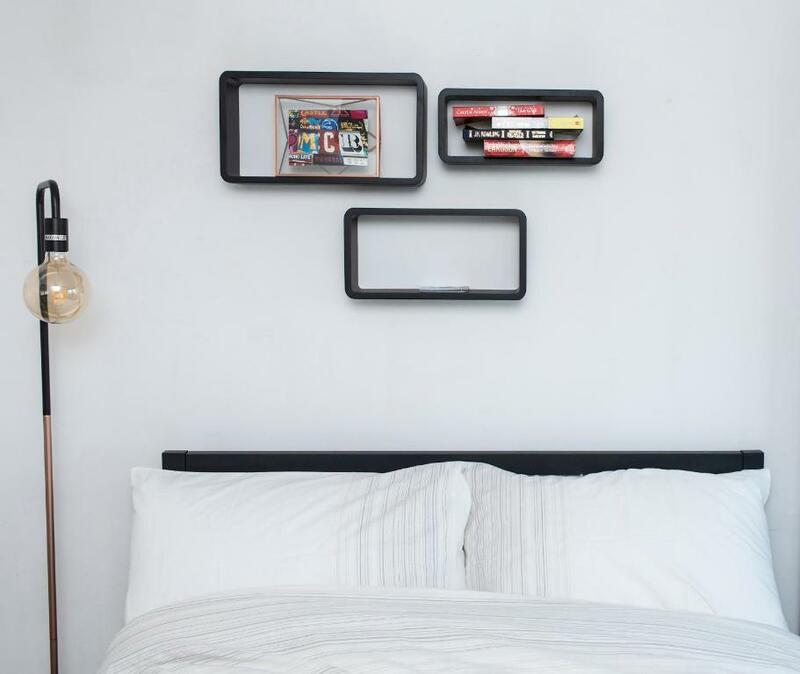 There's no wardrobe; you just hang your clothes on a rail suspended from the ceiling. It was passably clean, except for the windows (filthy! ), but the paintwork is a little tired. This is a fabulous central location for visiting Manchester. 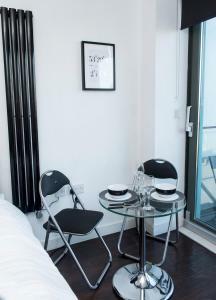 A short walk from Manchester Piccadilly Station, and easy walk to all central city locations. 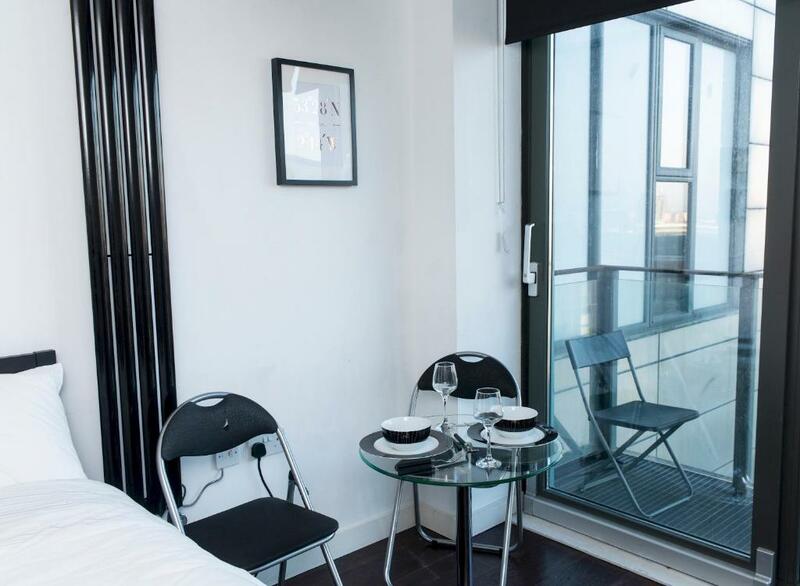 The room has a large window and balcony and so is very light, and it's 8 floors up so you have a view and you're away from the bustle of the street. Considering the size of the studio room, the bathroom and kitchen are generously sized. The bed was comfortable, and there was ample supply of crockery and cutlery in the kitchen.